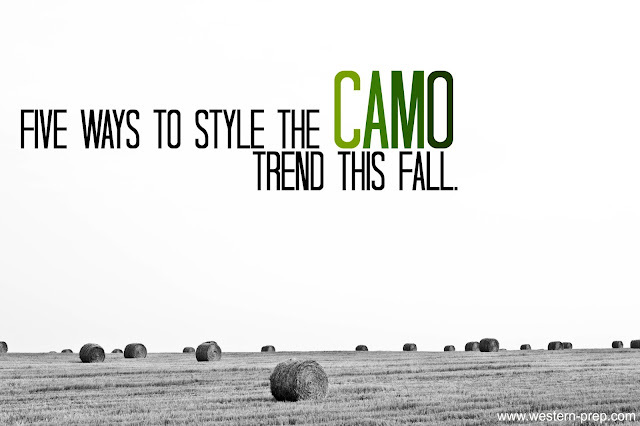 I grew up in the country where people actually wear real camo. I probably get judged for my fashion-forward not-intended-for-hunting camo. Oh well. 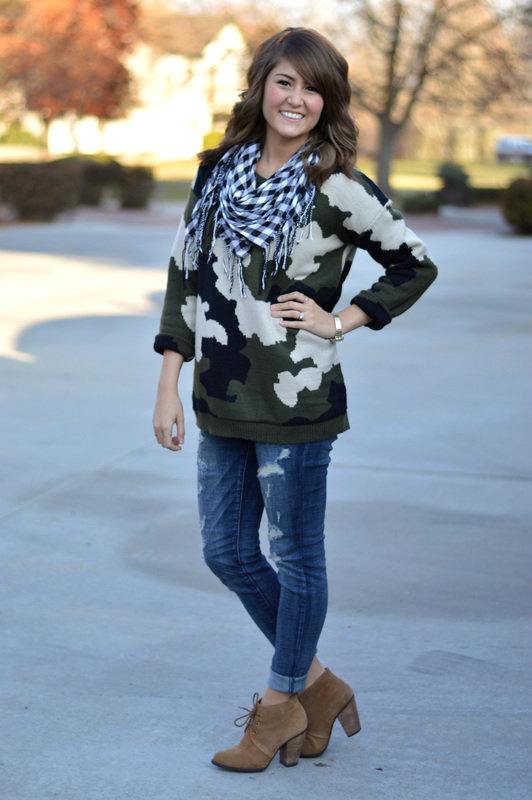 Wearing camo is fun & I'm not going to be apologetic for thinking that. There a five ways you can wear camo without looking like you shop at Cabella's (although I do love Cabella's). 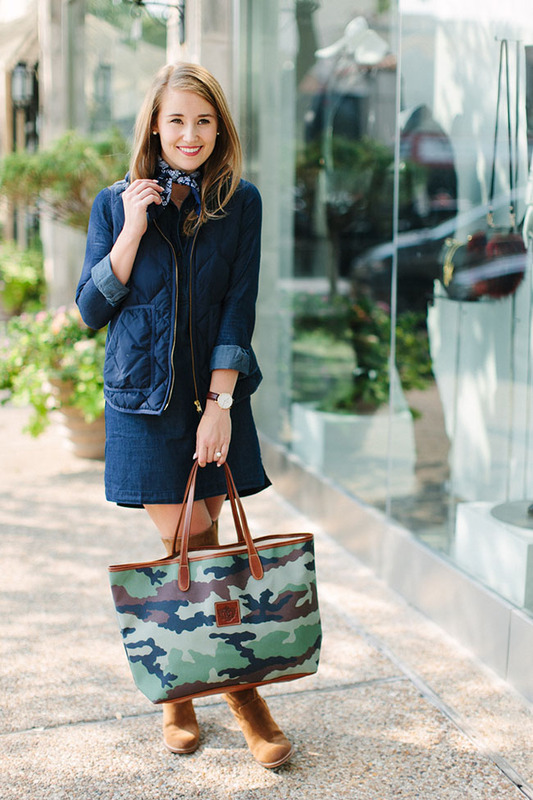 What are some of your favorite camo pieces that I've missed? College is over. I graduated last May marking the official end of my undergrad years. I avoided posting about it to prevent nostalgia, but now that it's been a few months I feel much more secure and wanted to share a fun list of things I regret not knowing three or four years back. He isn't your soulmate. It probably seems impossible to believe right now, but you will find better. Don't wear your nice clothes to a party. I've snagged sweaters, scuffed boots, stained dresses, and lost a really depressing number of earrings. I consider myself a pretty put together party-goer, but even the most responsible person will lose the ability to protect their precious fashion after a few Coors Lights. Join an activity. Intramural basketball, student government, Greek life, underwater basket weaving, or whatever. Find what you love and be passionate about it. I joined the debate team without realizing how it would completely define who I was during college, but it did. You have no idea what you want to be when you graduate. Many people do so props to them! But most of us will change career paths over the course of college. When I was 18 I was confident that I wanted to go to law school and now I can't imagine anything more painful. That professor actually wants you to come to office hours. They're there because they like teaching. Showing interest in their lectures by asking additional questions or just chatting about the topic during office hours will get you big points. In many cases it's the difference between a B and an A. But to be honest getting to know your professors is worth much more than a grade. It made me feel successful, valued, and connected me to the school on a deeper level. Sometimes it's stressful or just pain hard to find the time, but I put it off regularly and now regret that. There is good in everyone. You will be more happy if you search for the beauty in others. Do things outside of your school. My junior year I became active in a church downtown, away from Lewis & Clark. Having a community away from school was refreshing and helped give me perspective on the real world (aka outside academia). Don't count on the library printer working ten minutes before class. It won't. Making friends will never be more easy. You're surround by thousands of people your age that just want to have fun. Don't be shy! One of my bestfriends and I met Sophomore year when I was going through a rough time and eating alone in the dining hall. She asked if she could sit with me and instantly became one of the most important people in my life. If there's free food or t-shirts go. Call home. Most people say one a week or so. For me, this was once every day or so. Staying connected to family and friends is important. When school life is rough it's really nice to have a secondary support system. McDonald's doesn't serve hamburgers and fries until 10:30. If you're like me and not a McD's breakfast food person this is important hangover information. Get an internship. Living in the country made summer internships impossible for me. If you can find one, do it. Experience will be more important post-graduation than the degree. You'll outgrow those friends you met during Freshman orientation week. I remember eating in the dining hall about three weeks into classes with the group of eight friends I deemed "my friend group" four days into college. By the end of our senior year the group couples all split up, drama ended many friendships, two of them had transferred to different schools, and by graduation my dorm roommate deleted me off Facebook (I'm still not sure why...). There is only one person out of that group of eight I am still friends with and there was a two year period where we didn't hangout. Don't get me wrong, you'll make amazing friends - just remember it might not be the people you first assumed would be those friends. Take pictures! That whole thing about missing the moment is a lie. You'll appreciate having lots of pictures. My Canon was the best investment I ever made. You can rent textbooks for free through the library. Instead of buying a $75 book that you only need to read one chapter of try to check it out through the library. You can even copy that one chapter so you have it after you return the rental. Don't forget to return rentals. Those late fees are painful. God has it all planned. Learning to follow His Grace is one of the most important things you can do to help your future. I didn't join a church until my junior year and it changed my life. Don't lose sight of your faith. Go to campus events. You're paying for that stuff so go and enjoy it! And I promise you'll never have this many free opportunities again. Don't over do it. It's probably okay to drop that random Logic class you signed up for if you're in over your head (this happened to me first semester and there has been zero repercussions beyond how much better it made that semester). You'll miss babies and old people. For four years you will be surrounded by almost exclusively people around the age of 20. Hearing from people younger or older than you will become so refreshing. Date, but don't let dating define your college experience. I went on a few dates and regularly dated one guy my senior year. The only part I regret is once I skipped a friend's party because my boy-person didn't want to go. Don't let a boy hold you down. 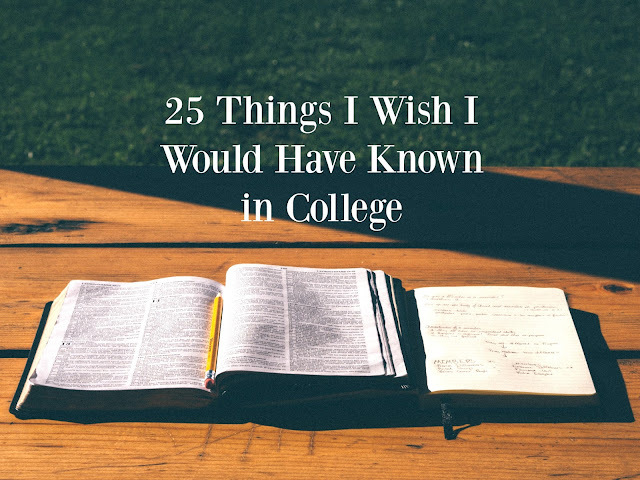 College is about being selfish. Learn who you are and find who you want to be. And most importantly, have fun. I wish I would have known all of that from day one. But if we're being honest, learning the 25 things above made for a lot of life-changing (and fun!) experiences.